Find a vacation home to rent in Robion from our list of vacation rental properties. Campaya has over 5 vacation homes available in Robion, which give you the possibility to locate a unique accommodation in Robion which completes your check-list in search for the perfect self catering vacation apartments in Robion or vacation villas in Robion. 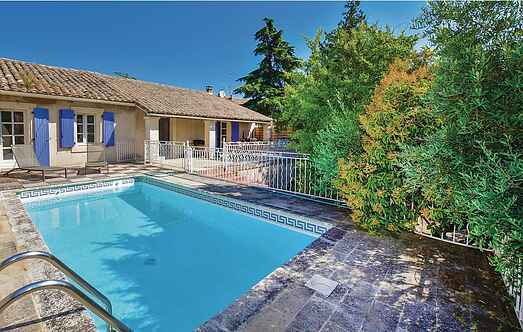 At first glance, you will fall in love with the beautiful pool of this charming holiday rental which awaits you 9km away from Isle sur la Sorgue. Located 10 km from L'Isle-sur-la-Sorgue, this charming cottage enjoys lovely views of the Luberon mountain range. This comfortable, detached villa is situated on the edge of a quaint street, approximately 5km from Cavaillon. It has been named La Maoure, which is an anagram of Amour: meaning 'love'.